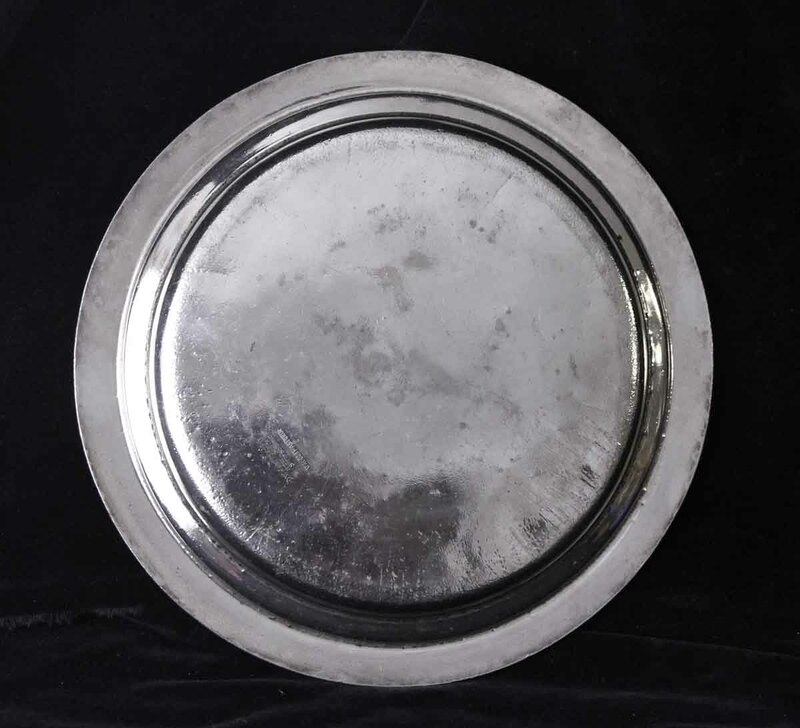 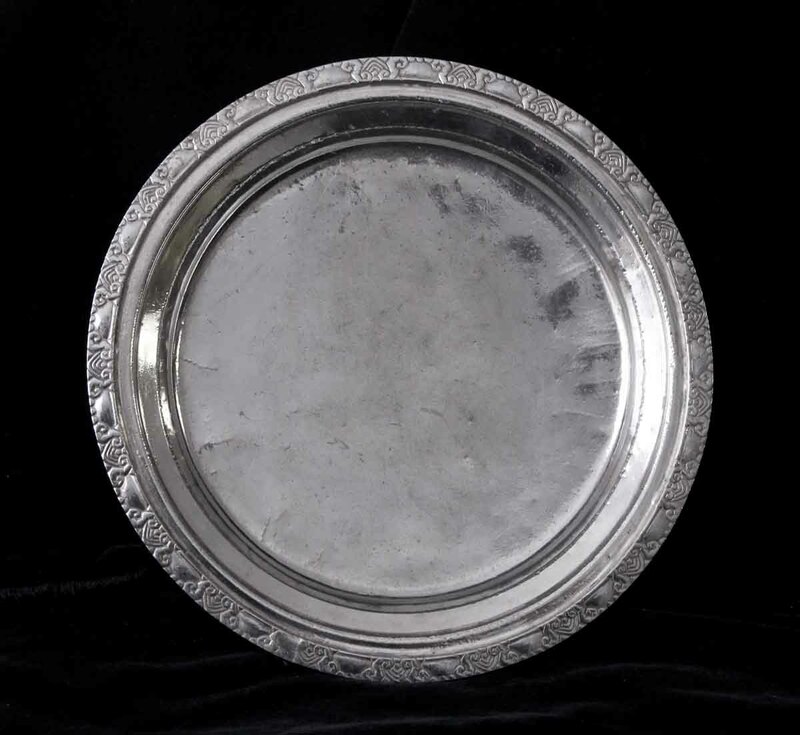 Silver plated Art Deco edge round serving tray. 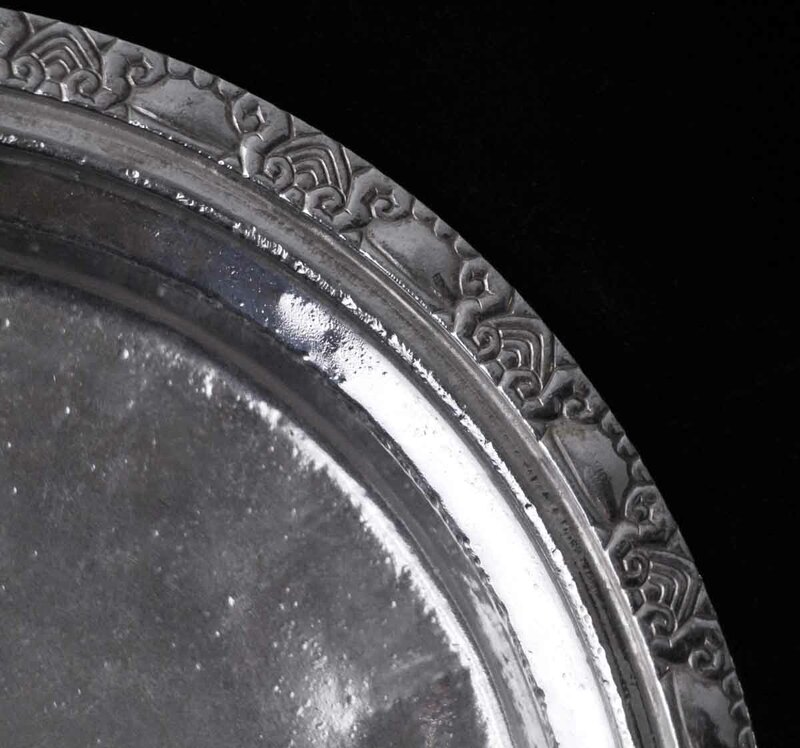 Some have dings and wear from use in the hotel. 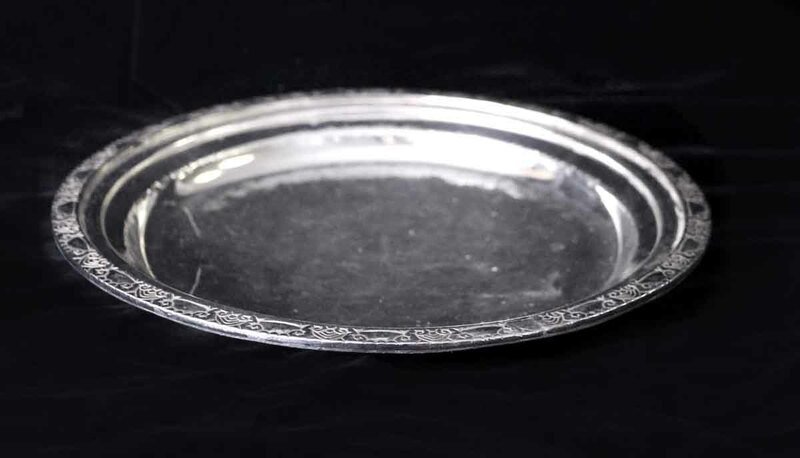 This item is original to the Waldorf Astoria Towers. 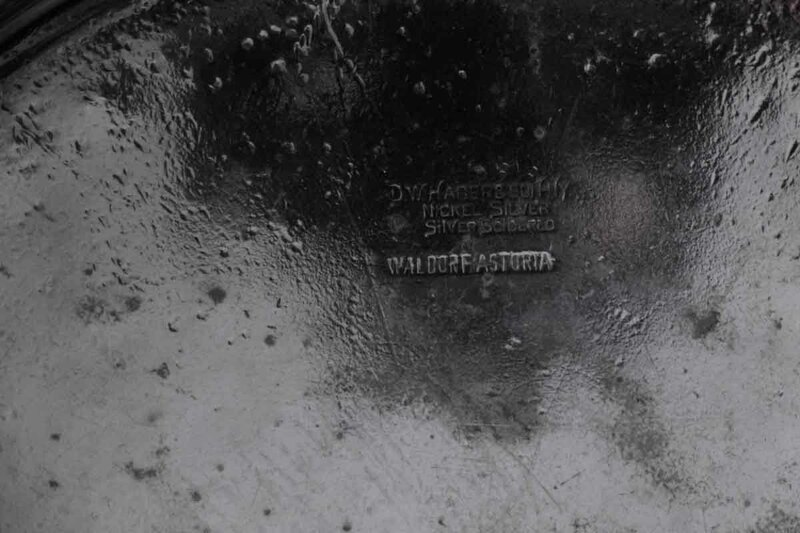 Made by D.W. Haber & Sons Inc.
D.W. Haber & Son Inc.